June marks the beginning of Obon season on Maui, when Japanese missions and centers host obon dancing and festivities throughout the island. Obon celebrations honor those who have passed but also are gatherings for the community and are enjoyed by the entire family, regardless of one’s ethnic heritage. 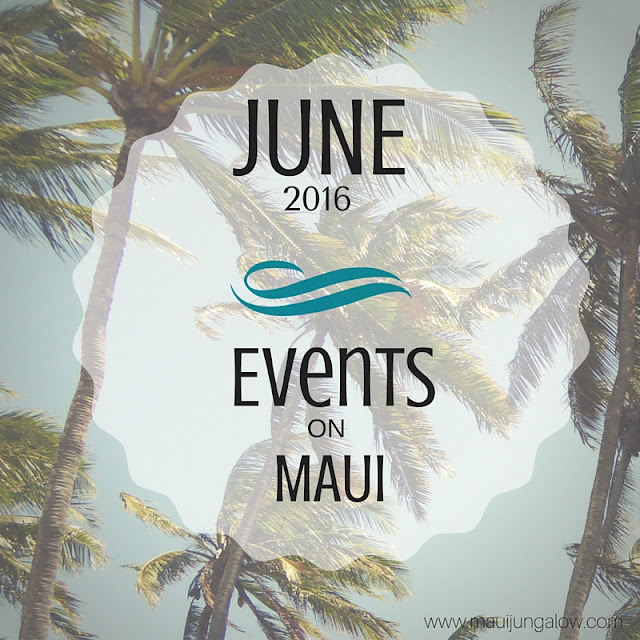 Click here for a Maui Bon Dance or Obon Schedule. Friday, June 3, 6 pm – 10 pm. Women Just Wanna Have Fun Gala. Buffet dinner, fashion show, dancing, and silent auction. 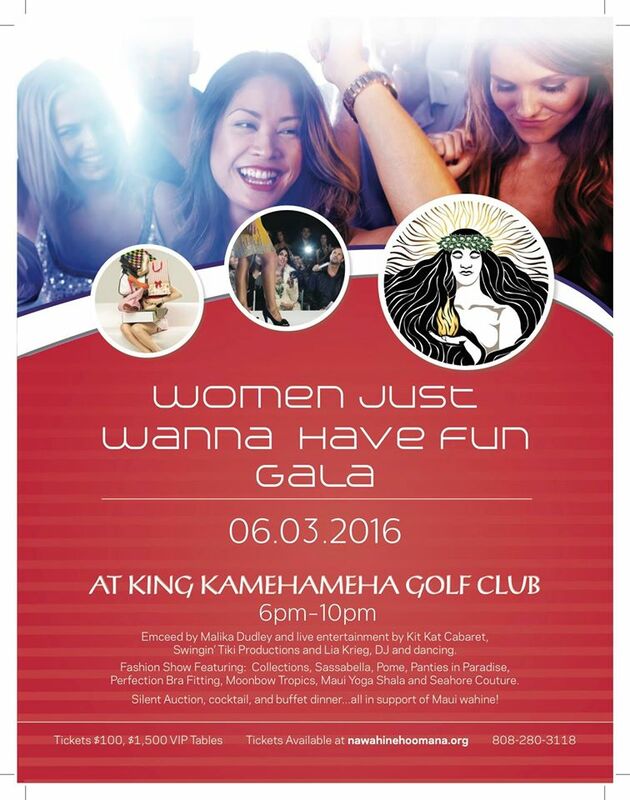 Guys are welcome to attend in support of the women of Maui. King Kamehameha Golf Club, Waikapu. $100. Friday, June 3. An Inspirational Night at the Movies presented by Maui Humane Society and Sugar Beach Events. A family friendly movie night featuring “The Champions” and “For the Love of Dogs.” $10-$50. Sugar Beach, Kihei. Friday, June 3 – Sunday, June 5. Wa’a Kiakahi Hawaiian Sailing Canoe Festival. An opportunity to learn about traditional Hawaiian sailing canoes. Event features a sailing canoe race, ceremony, free rides, and education about ancient navigation methods. Friday, June 3 – Sunday, June 5. Maui Jim OceanFest. Competitive ocean sports sprint style event with multiple races and categories. Challengers are coming from all over the world. Kaanapali. Saturday, June 4 – Sunday, June 5, 9 am – 5 pm. Maui Upcountry 4H Livestock & Ag Fair aka “Upcountry Fair”. Oskie Rice Arena, Olinda. $5 to park. Read more about the Upcountry Fair. Saturday, June 4, 5 pm. Wooden Crate Cabaret with George Kahumoku, Jr. Enjoy storytelling and slack key guitar by this renowned musician along with a 3-course garden to table dinner. Lumeria Maui, Makawao. $75. Saturday, June 4. 5 pm. 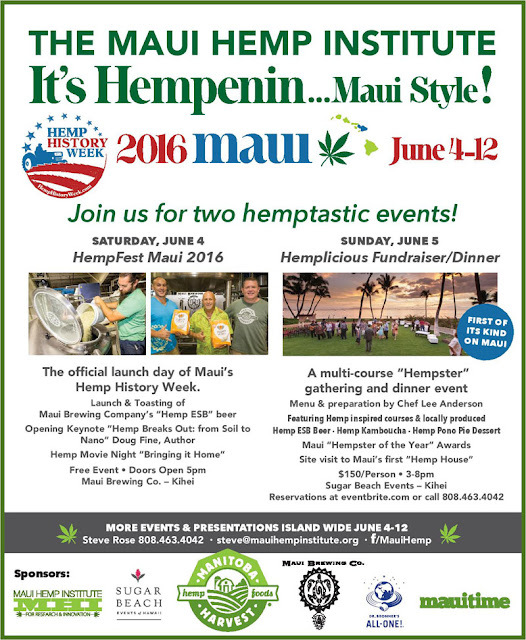 HempFest Maui 2016. Official launch day of Hemp History Week, launch of Maui “Hemp ESP” beer, keynote speech by Doug Fine, “Hemp Breaks Out: From Soil to Nano,” and Hemp Movie Night. Free! Maui Brewing Company, Kihei. 21 and older. Saturday, June 4, 7 pm. 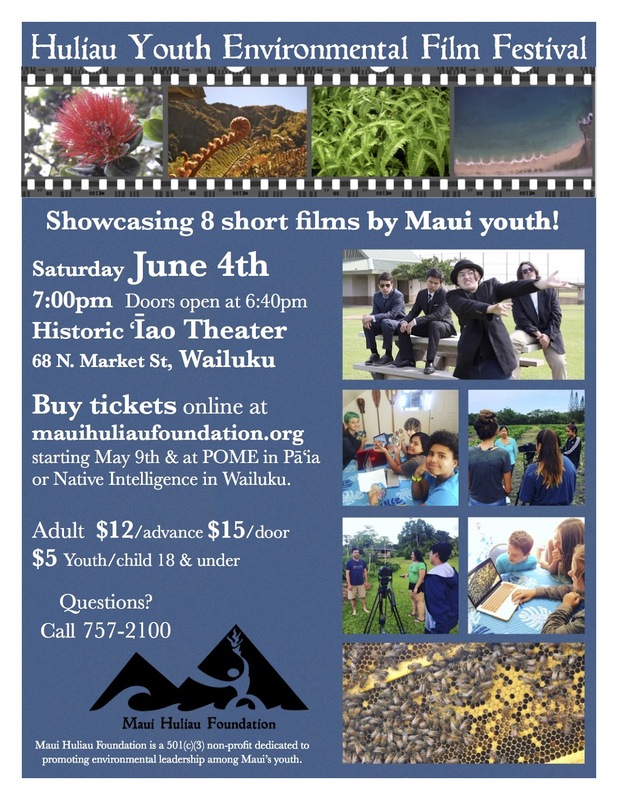 Huliau Youth Environmental Film Festival showcases student films of the Maui Huliau Foundation. Iao Theater, Wailuku. $5-15. Sunday, June 5. 5pm – 9 pm. Hempalicious Fundraiser Dinner for Maui Hemp Research Institute. Multi-course hemp dinner event, live music, and site visit to Maui’s first hemp house. Sugar Beach Events, Kihei. $150. Thursday, June 9, 9 am - noon. Using Census Data to Look For Trends in Your Community. Learn to use census population and business data, using American FactFinder and Census Business Builder. Maui County Business Resource Center, Maui Mall, Kahului. Free! Must preregister: 808-270-5770. Wednesday, June 8. Kaena Wine Tasting. Sample wines from Kaena Wine Company, founded by Hawaii born wine maker Mikael Sigouin. Appetizers will be paired with wines. Sugar Beach Events, Kihei. $80. 21 and older. Thursday, June 9 – June 12. Kapalua Wine and Food Festival. The longest running wine and food festival in the US. Kapalua. Saturday, June 11. ArT =MiXX: Modern Heroes. A fusion of visual and performing arts. MACC. 21 and older. Free! Saturday, June 11 - Sunday, June 12. Maui Triathlon. 5k run, sprint, and kids’ triathlons. Makena Beach and Golf Resort. Saturday, June 11, 6:30 pm. Twilight ‘ua‘u (Dark Rumped Petrel) Discovery. Learn about the night time habits of this bird, observe with night time equipment, and talk with wildlife biologists. 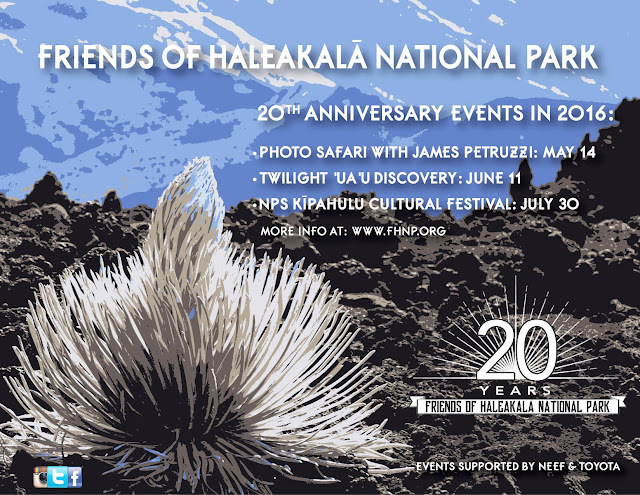 Haleakala. Free. Must preregister. 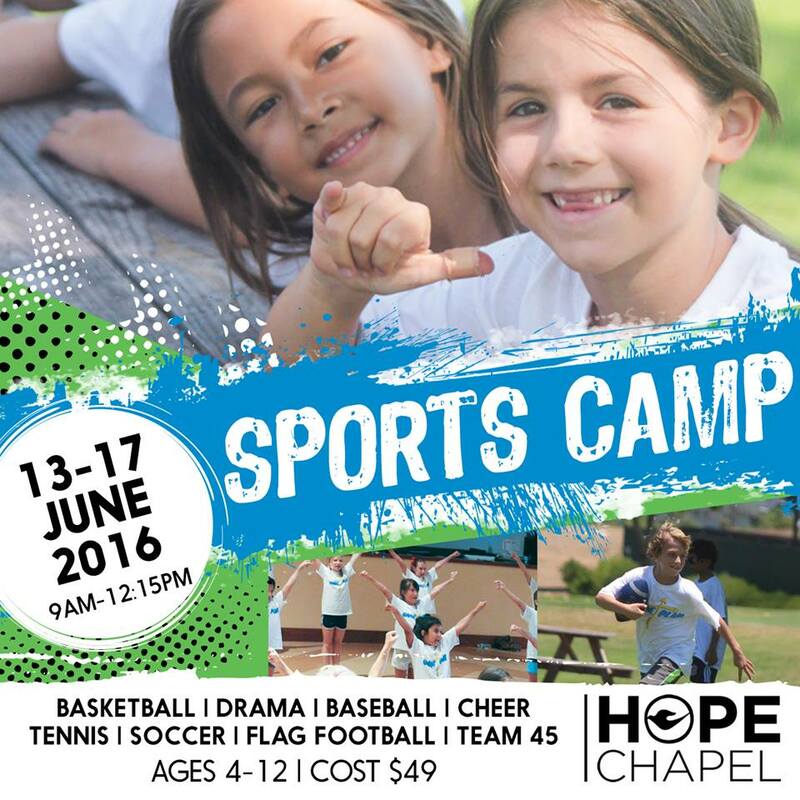 Monday, June 13 – June 17, 9 am – 12:15 pm. “The Great Comeback” Maui Sports Camp. Hope Chapel, Kihei. 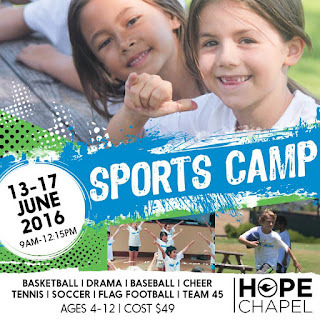 Weeklong sports camp and drama camp for children 4 to 12. $49/child. Wednesday, June 15 – Sunday, June 19. Maui Film Festival. 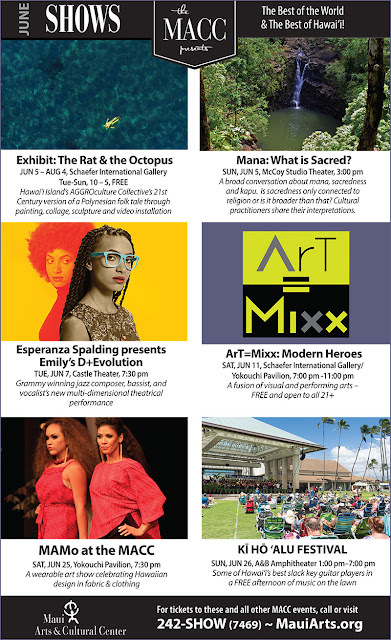 Screenings of select films and nightly festivities including “A Taste of Chocolate.” Various locations in Wailea and at the MACC. Wednesday, June 15. 6:30 pm – 8 pm. Amy Hanaialii Performing At Wailea Lea. Free concert, but $5 for parking. Shops of Wailea. Saturday, June 18 – Sunday, June 19. 9 am – 5 pm. 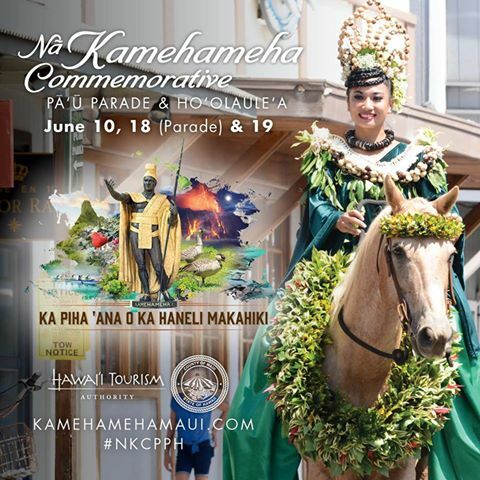 Kamehameha Day Parade and Hoolaulea. Lahaina. Free! Saturday, June 18, 10 am – 3 pm. Maui Association of Landscape Professionals present a Lawn and Garden Fair. Ask the experts your gardening questions, get soil pH testing, door prizes. Saturday, June 18, 11 am – 1 pm. Aloha Spirit Activity Day at Haliimaile Community Garden. Volunteer + garden tour, lunch provided. Haliimaile. Saturday, June 18, 1 pm – 5 pm. Celebration of Fathers. Live music, food, games, gifts for dad. 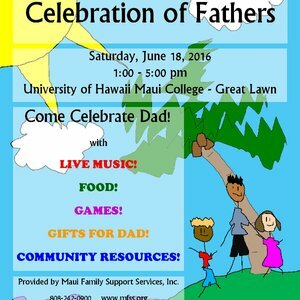 UH Maui Campus – Great Lawn. FREE! Saturday, June 25, 6 am to 6 pm. American Cancer Relay for Life. War Memorial Stadium Field, Wailuku. Saturday, June 25, 11 am – 3 pm. Cassava Workshop – Maui Let’s Get Growing Series. Learn all about cassava, manioc, or yucca, which grows in the tropics. Haiku Aina Permaculture Institute. $35 or take 2 classes in the series, get 1 class free. Saturday, June 25, 10 am – 1 pm. Trashionista Workshop. Share ideas and create wearable, upcycled art. Bring materials, snacks, and water. Some materials and supplies will be provided. UH – Maui Campus. 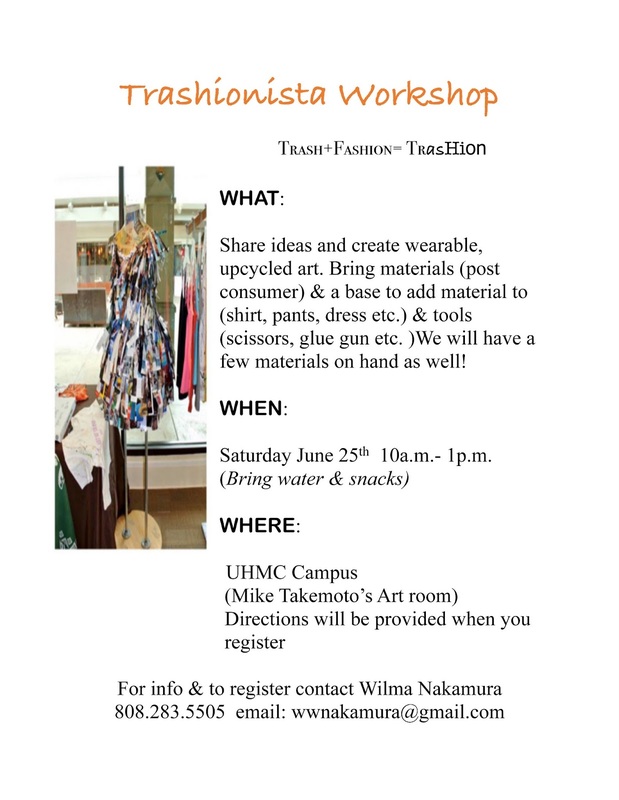 Register with Wilma Nakamura – see flyer below. Saturday, June 25 – Sunday, June 26. ARRL Field Day. Maui Ham Radio Field Day. Learn about ham radio and visit the “pop up” amateur radio field station. Hookipa Bluff. For directions, go to the website and scroll down. What to expect? Read about my experience one year. Saturday, June 25. June Persian Dinner with Chef Nabavi. Enjoy dining in the private home of Chef Nabavi, as a fundraiser for Grow Some Good. Limited to 20 guests. Directions disclosed upon payment. $150. Sunday, June 26, 1 pm – 7 pm Ki Ho’alu Hawaiian Slack Key Guitar Festival. Some of Hawaii’s best slack key players perform. MACC. FREE. Sunday, June 26, 4 pm - sunset. Feast Hawaii: Birthday Feast. Pop-up dinner at Lumeria Maui. 3-course farm to table dinner with Maui celebrity chefs and local artisans. $39-$99. Makawao. Monday, June 27, 6 pm – 8 pm EST (This is 12 noon Hawaii standard time.) Lei Crime Series, Kindle World Event. Join Maui author Toby Neal and a dozen+ Kindle authors for this virtual event launching the latest Lei Crime Series novellas. Tuesday, June 28, 8:30 pm, following the Hawaii Farmers Union United meeting. Fields of Change. Student film about the future of Maui sugar cane land, part of the Huliau Youth Environmental Film Festival. Haiku Community Center. Wednesday, June 29, 5:30 pm – 9 pm. Cooking Class: American Surf & Turf Is Hot & Spicy. Take a road trip across America with meat and seafood. Sugar Beach Events. $95. Thursday, June 30 – July 3. Makawao Rodeo begins! Rodeo, entertainment, food and fun. Oskie Rice Arena, Makawao. Pre-sale tickets available at all Minit-Stop stores. Thursday, June 30, 5 pm – 7 pm. Lily Katz’ Israeli Popup Dinner. Fundraising dinner for Lily Katz’s summer student program in Israeal. Featuring Israeli food. Bailey House Museum, Wailuku. $75. Thursday, June 30, 7:30 pm – 9 pm. Second showing (“hana hou”) of student films for the Huliau Youth Environmental Film Festival. POME store, Paia.